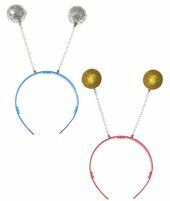 Show off what a lady you are in these sweet ladybug wings and bopper headband! 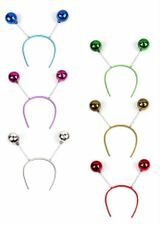 Red semi-sheer ladybug wings with black polka dots outlined in gold glitter and comfortable elastic straps to attach them securely to your shoulders, and red headband with yellow stems and black 1-inch balls. One size. 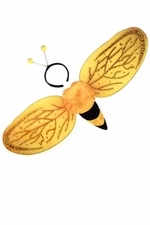 Check out more options on our Fairy Wings and Insect Costumes pages!